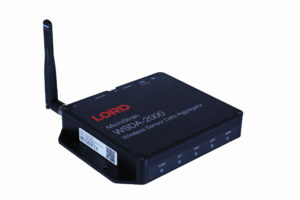 LORD Sensing wireless sensor networks enable simultaneous, high-speed sensing and data aggregation from scalable sensor networks and are ideal for test and measurement, remote monitoring, system performance analysis, and embedded applications. The gateways are the heart of the LORD Sensing wireless systems, since they coordinate, maintain and synchronise transmissions across a network of distributed wireless sensor nodes. The new WSDA-2000 supports the latest LXRS+ wireless communication protocol as well as all LXRS enabled nodes, providing high-speed sampling, ±50 microseconds node-to-node synchronisation and lossless data throughput under most operating conditions. In addition to the USB connection it also allows Ethernet and J1939 CAN bus (output only) interfaces, and is configurable to operate with a static IP, a DHCP-enabled LAN, or as a datalogger to local memory. For this, the unit is supplied with a 4GB Micro SD memory card with an optional upgrade to 8 or 16 GB. Free to download SensorConnect software enables remote configuration, acquisition, and display of sensor data, and it is easy to connect the gateway to a cellular or wi-fi modem for data access from around the world. Housed in a black anodized aluminium case measuring 147 mm x 110 mm x 23 mm without the antenna, it weighs 343 grams and requires a 9.0 to 30.0 V dc power supply. (A universal 15Vdc, 1.3A AC/DC converter is included with the starter kit). Hundreds of sensors can be managed from a single gateway, with the consequent reduction of cost & complexity associated with instrumentation wiring over long distances. Please ask for further details or share information about any wireless application, so that we can help to configure the best solution.